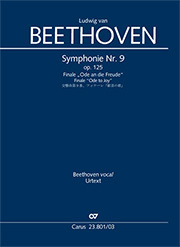 Beethoven’s Meeres Stille und Glückliche Fahrt (Calm Sea and Prosperous Voyage) op. 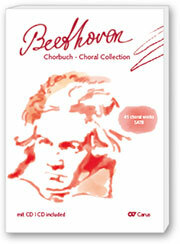 112 for four-part mixed chorus and symphony orchestra – his setting of a pair of poems by Johann Wolfgang von Goethe – defies straightforward categorization, but can best be described as a choral ode. 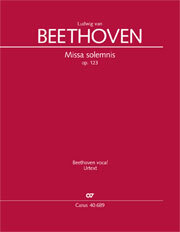 Beethoven in fact never voyaged by sea, but his composition, premiered in 1815, continues to surprise even today. He depicted in music the smooth surface of the motionless water and the oppressive calm, which meant nothing other than being becalmed, a delayed voyage, and short rations in the era of sailing, with the same intensity as a freshening increasing wind, with which Aeolus, the God of the winds, ultimately enabled the longed-for "prosperous voyage" to take place. The composed calmness of the motionless sea is conveyed in the low register used throughout, in which the chorus sings the first poem accompanied by washes of pianissimo sounds on the strings. There is a surprising moment with the musical portrayal of the "ungeheuere Weite" (immense breadth), at which the vocal-instrumental writing suddenly crescendos to forte and unfolds into a texture of over five octaves. 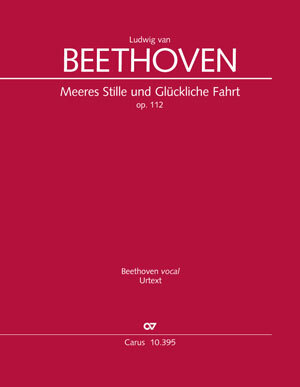 By contrast "Glückliche Fahrt" is written in restlessly-compiled meters, whose musical setting in flowing movement with diatonic scale passages evokes happy excitement and confidence. 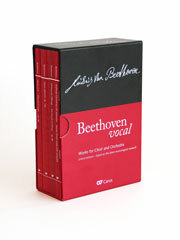 The work was dedicated to Johann Wolfgang von Goethe, whom Beethoven greatly admired throughout his life. 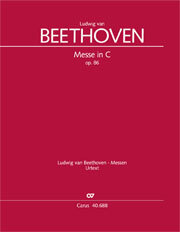 The work has now been published in a new critical edition based on the first printed edition and the performance score which Beethoven himself checked and corrected.